Monel® alloys are nickel-based alloys that contain between 29 and 33 percent copper. Initially created by metallurgist Robert Crooks Stanley and patented in 1905 by the International Nickel Company. The metal was given the name Monel in honor of the then-director of International Nickel. Not surprisingly, Stanley later became Director of International Nickel. 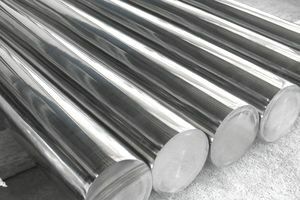 There are six types of Monel. All contain a large percentage of nickel (up to 67%), while some iron, manganese, carbon, and/or silicon. Small additions of aluminum and titanium, which form the K-500 alloy, increase strength, particularly at high temperatures, making it useful in aerospace applications. Monel 400 28-34 - - 2.5 max. 2.0 max. - 63 min. Monel® alloys are most often found in chemical plant equipment due to their strong resistance to chemical corrosion. They are also used in the aerospace industry. Products built with Monel (particularly before the advent of stainless steel) include heat exchangers, screw machine products, wind instruments, piping systems, fuel and water tanks, kitchen sinks, and roofing. While surface discoloration in the form of a patina may be attractive in some circumstances, it can create problems in others. While it is resistant to corrosion, it can become pitted if exposed to salt water. While it is corrosion resistant under many circumstances, it can corrode when exposed to certain substances. For example, nitric oxide, nitrous acid, sulfur dioxide, and hypochlorites are all substances that can corrode Monel. The presence of Monel can lead to galvanic corrosion. In other words, if aluminum, zinc, or iron are used as fasteners for Monel and then exposed to certain conditions, the metal fasteners will quickly corrode.